Last Monday, the final chapter of my Churchill Fellowship commenced as I walked through the gates of Steinway and Sons, Hamburg to begin a two week course in the latest service techniques. Meeting Steinway’s Manager of Product Services, Mr Hartwig Kalb, proved that Steinway are supportive of training international technicians who service their products in their own countries. As he explained what the goals were for the coming two weeks, he also explained the Steinway prefer and recommend local technicians with factory training to perform any work required in their international territories. 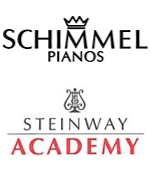 The training facility in Hamburg is called the C.F Theodore Steinway School for Concert Technicians, however it is affectionately known as the Steinway Academy. Also attending this course is David Salmon from New Zealand and Mario Holmstrom from Sweden. I was excited to learn that my old friend from my last course was to be one of our instructors. Guenter Schmitt is a damper installer with over 30 years experience in fitting dampers, which is every technicians nightmare. Guenter greeted me like an old friend and said he was just looking at my photo on the wall, and how I have lost weight from 2009. He also asked about family and he has a picture I emailed him next to the computer at his home. Guenter is in charge of damper fitting (Dampfung aufsetzen) and training of apprentices in the factory. He speaks English well, but at times he pronounces words syllable by syllable, so you have to listen closely. That may sound insulting however English is his second language and you listen to every word he speaks as you know when Guenter speaks, you listen. A soft voice, reassuring, inspiring confidence and you are completely at ease with this man. He speaks of the dampers firstly as a battle, however you make them members of a family, so as you are working and you have a question, he uses other terms other than “bend here” or “fix that tilt” or “fix that jumping” to simplify the answer and to keep you at ease. Other than working in the factory and teaching in the Academy, Guenter is always looking for ways to improve the standard of work. That can be changing work systems so that now, a damper installer works on the dampers instead of the action regulator during the final regulation and quality check. Guenter also has travelled overseas to specially prepare damper assemblies in pianos owned by some of the world’s finest pianists. He also is constantly trying to improve his product by changing felt densities and sizing as well as trying to be a perfectionist in such a physically and mentally demanding job. Guenter was proud that I have not forgotten his lessons from 2009, even though he knows that I do not get to install dampers very often. He is a teacher who wants his students to constantly improve and he was pleased with my progress. Some times when I asked his advice due to not being satisfied with my work he looked and said that he had to look very hard to find an error. It is wonderful to be coached by such a natural teacher and gain his respect for work in which he excels in. I am proud to write that I can prepare, fit and regulate dampers to the standard expected by Steinway and Sons, Hamburg. Good luck. I liked your line about damper installation being every technician’s nightmare! Have read all your posts with envy.